Welcoming your guests to your wedding in a warm, unique way is an excellent opportunity to set the tone for a fun, relaxed wedding. We can’t think of a better way to say “come in and enjoy yourself!” than a charming chalkboard. Not only is it fun… it is an incredibly easy DIY project! 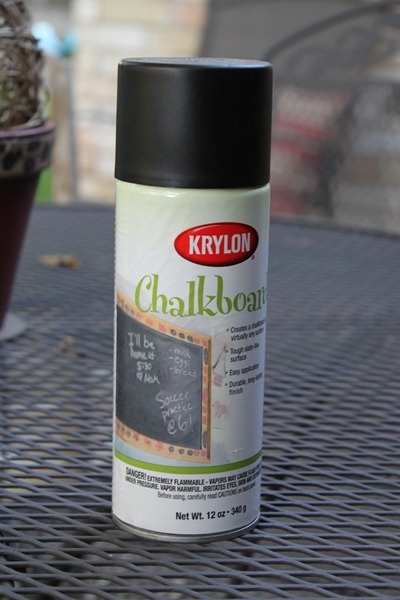 With a little spray chalkboard paint, any surface can be turned into a chalkboard. 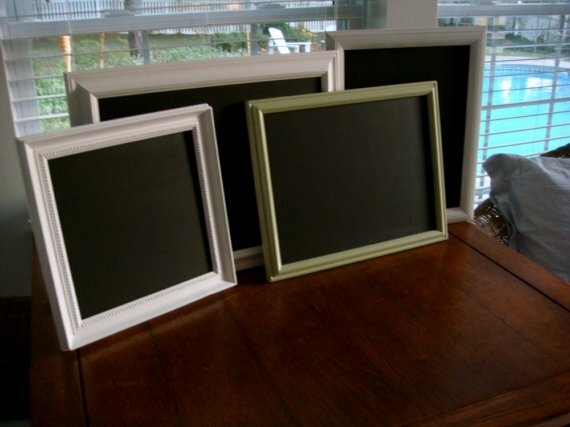 Grab the cheapest picture and frame you can find and start spray painting! Step 4: get creative with a welcome note! 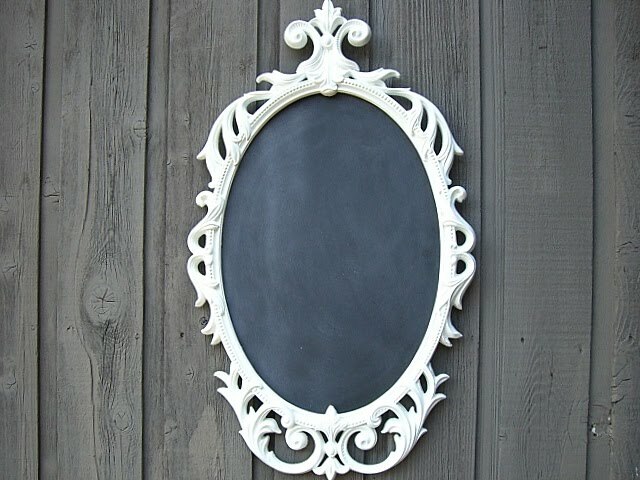 If you choose, decorate the frame with a ribbon, a bunch of fresh cut flowers, etc. Or, just use colored chalk to give the sign a little color. 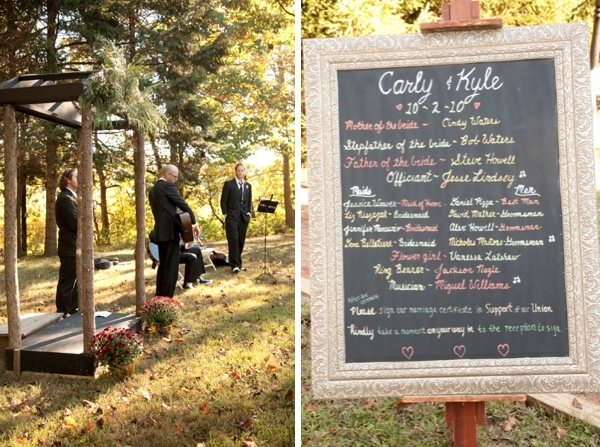 Hang on an easel, tack against a tree, lean against a fence… the more rustic the better with this fun, easy project! Loved making this? 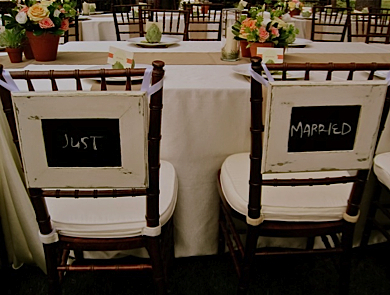 Well how about chalkboards for the bride and grooms chairs. Follow the same process and hang from the back of the chairs. 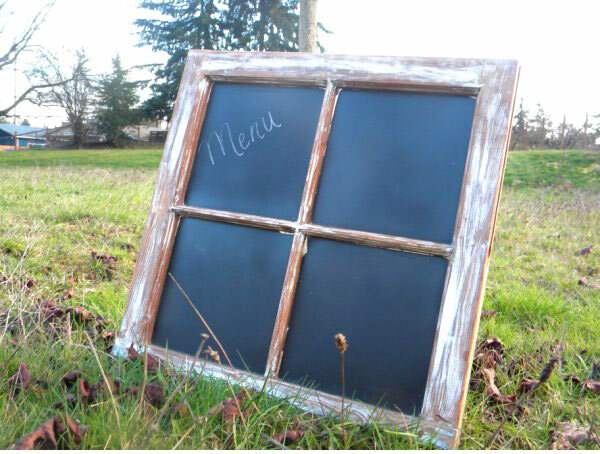 Or perhaps you want a guest seating chalkboard or menu board. Change it up by using a window and follow the same process as above. Thnx for publishing these details within your site.